Polo Club Condos is a gated community in southeast Denver that includes both villa style homes and high rise condominiums. The Polo Club community is beautifully landscaped with water features throughout, a golf course and bocce court. The high rise offers residents views of Mt. Evans and Pikes Peak. Polo Club condominiums are in Denver's most sought after neighborhood - Cherry Creek. 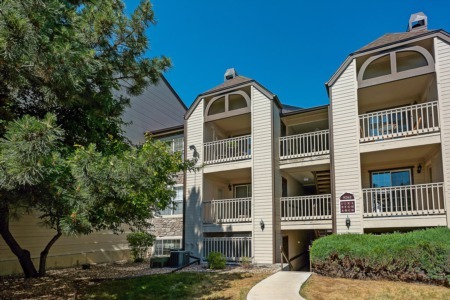 Just minutes away you will find Cherry Creek Mall and the Cherry Creek shopping district. Amenities include underground parking, storage units, pool and landscaped deck with plenty of seating and grills for barbecuing.